Another module that also came up quite a lot in the discussion was U1 Sinister Secret of Saltmarsh. While U1 is undoubtable an excellent module I’m not sure it really counts as overlooked. It’s an absolute classic, but I think it too well known to include in my list. Thus without further ado, here are the two modules I should have included in my original list. 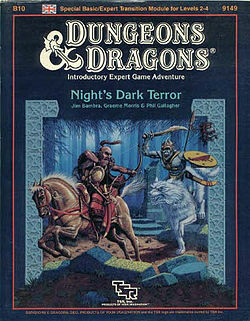 Often seen as a mini-campaign in its own right, B10 Night’s Dark Terror is described as a “Special Basic/Expert Transition Module for levels 2-4.” The adventure comprises a wide variety of challenges and features the incursions of goblin hordes and the sinister machinations of the Iron Ring — an evil organisation dealing in theft, extortion and slavery. Set in the Grand Duchy of Karameikos its easily convertible to any campaign world (including my beloved Greyhawk — in fact it would feature very well in my own Borderland of Adventure campaign). The amount of extra material you get with this module is staggering. It’s double the normal size for a B series module at 64 pages and you also get a double-sided map sheet and 120 die-cut counters for use in the ensuing battles. It even comes with two two-panel covers you could use as a GM screen. I’ve run N1 Against the Cult of the Reptile God twice (that I recall) and I love it. In some ways it’s a lot like The Village of Hommlet in that it’s got a detailed village (Orlane) rife with intrigue. The village is brilliantly designed and I love the way the cult has wormed their way into the community. That said, the module’s very tough toward the end. If you haven’t enlisted the help of a certain NPC, I’m not sure how you are meant to survive a naga flinging a fireball at you! The adventure provides an excellent mix of role-playing, investigation and combat — there’s something for everyone. That said, the lion’s share of the combat takes place in the latter part of the adventure meaning impatient hack and slashers might get bored early on. Still, cultists lurk in the village so it’s highly likely belligerent players will soon get to “enjoy” the cult’s attentions. 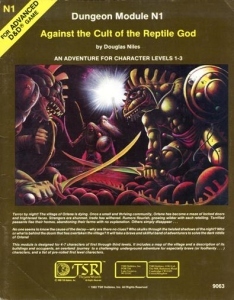 N1 Against the Cult of the Reptile God is set in Greyhawk, but it easily set in almost any fantasy campaign. In fact, I love the adventure so much it was one of John Bennett’s primary influences when he wrote Against the Cult of the Bat God for Raging Swan Press! Like I said, I’m kicking myself for excluding it from my original list. A close reading of these two modules (and the original four modules) reveals they are all pretty low-level. That’s a symptom of my gaming style because I prefer lower level play. That said, there are loads of great overlooked high-level adventures out there that don’t get enough love. Got any suggestions for what I should include in a list of overlooked high-level adventures? Leave them in the comments below! Against the Cult of the Reptile God is one of my all time favorites! 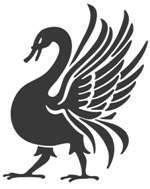 If you are interested I posted some top 5 favorites on the Mischief, Inc. forums a while back. Here are the links. N1 would probably fall somewhere in the 6-10 range for me on the AD&D 1e list. Assassins Knot comes up a lot as a great mystery/investigation adventure. I’m clearly going to have to check it out! Good lists – thanks for sharing. I liked the idea of breaking down your lists by edition. I probably should have done that myself. I love N1! That and Saltmarsh are my most run modules, as I have run them at least 3-4 time each. I was a player in Assassin’s Knot and would recommend picking it up. I guess I have not played/reffed too many high level modules that aren’t considered popular(S1, S3, Q1 etc.) I think one question would be; At what point would you consider characters high level? My game style preference is for under level 8. There’s a point where games become a bit too super-hero like. I did play in H1 Bloodstone Pass. The plot involved our group volunteering to help a country defend itself against an orc invasion. It was very fun! I don’t recall a great deal about the story as the game focused more on a miniatures war using TSR’s Battlesystem. We didn’t have a great deal of figs at the time, but we used what we had supplemented by counters included in the module. A green felt cloth covered the table. Books of various sizes were placed underneath to add the dimension of hills. We had a couple of paper card buildings from other TSR modules (I cannot recall which.) We used some blue felt for a creek and a pond, brown felt for roads, and lastly there were a smattering of model railroad trees and lichen for bushes. It may sound primitive compared to what people do now, but at the time we were a bit “wowed” by the look of the various battle set ups. I cannot say whether this module’s plot and story quality is in the same league as N1, L2, or some of the other forgotten classics people have mentioned, as that has really faded from my memory. What I do recall, with a great deal of fondness, is our characters being involved in a desperate fight to repel the orc and humanoid hordes. The setup we had was pretty primitive, but did help stoke the fires of loving minis and wargames. The significance for our campaign is that it was the first time we looked at D&D at the scale of armies and nations rather than characters and dungeon crawls. We were very early adopters and enthusiasts of the Birthright campaign. Glad you checked out B10. Another one that was mentioned in your previous thread was HHQ1: Fighter’s Challenge. The first of 8 or so solo adventures, this 32 page module is basically a mini campaign with a generous slate of sideplots that make it effectively a mini-campaign for 1 PC. Being a saddo with almost 0 mates I’ve run it several times. It’s a good one. Sadly the rest of the HHQ series isn’t quite as good, at least the sequels (Fighter’s Challenge II and so on). Night’s Dark Terror is a great module, and especially good at its role of being basic (level 1-3) to expert (levels 4+) transition module. it has long been one of my favorites. I am not as fond of Against the Cult of the Reptile God… while it is chock full of good stuff, the ultimate encounter (as written) relies to much of the deus ex machina of having the NPC magic user and his minor globe of invulnerability spell on the boat with the party as they approach the location of the Reptile God. B10 is a great module and what’s even better is that it was great at what it was intended to do, which is transition players from dungeon-centric adventures to wilderness-centric adventures. Cult has a lot good going for it as well, but is let down by the Deus-ex-machina nature of the final encounter as written (the party has to rely on having a higher level NPC with them who has to have his minor globe of invulnerability up as the encounter starts for them to have any chance). wow, I had completely forgotten I had already responded to this… that’s what I get for not reading all the comments before posting when something pops up as “new” on Facebook. 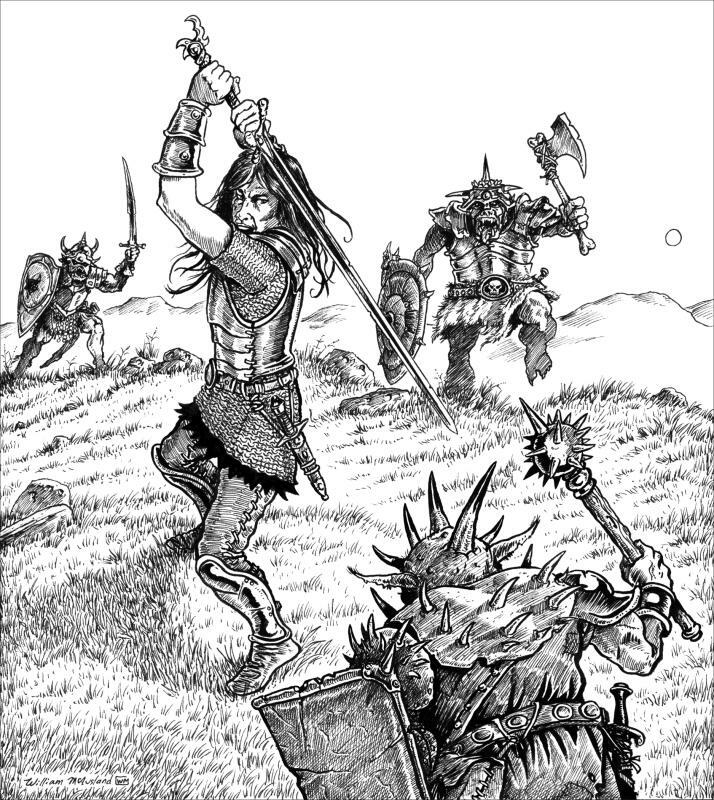 Low level characters (1-4) help defend a town from an army of orcs. My copy of N1 is on the verge of falling apart – it was that good. I have run it several times in the 80s and would love to dust it off for a revisit. The Village of Orlane was reminiscent of Hommlet for its detail which gave it real verisimilitude. The investigation gave it a new edge (it slightly predated Assassin’s Knot) that other adventures had not previously explored. B10 I have, but have actually never read in detail….thanks for the recommendation! I LOVE B10 – Night’s Dark Terror. Probably the most treasured and fun module I have. Cannot recommend it enough. Group warfare, burning buildings, lost treasures, horses.. what is not to love? Not to mention you get to slay a lot. Good luck with the gaming, and welcome back to the hobby! B10 is a blast; I played it over Roll20 a year ago, we used Basic fantasy for rules. I am thinking about adapting it to a Harn campaign. I am actually running against the cult of the reptile god modified to fit 5th edition. It’s a blast! My players are having a lot of fun having avoided being kidnapped, and now trying to liberate the temple of harvest from an evil force. Excellent suggestions! And thank you for the encouragement I’ve needed to begin playing the role of Storyteller for my group. My absolute pleasure. I hope you and your players have an epic time! Loved the article! I have fond memories of running Against the Cult of the Reptile God many moons ago. As far as higher level modules? How about The Lost Caverns of Tsojcanth? I never hear much about that module.